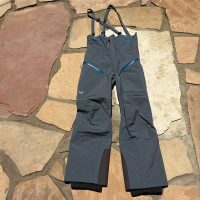 The 2016 men’s ski pant testing was conducted in the backcountry of Colorado in places like Berthoud Pass, Vail and Arapahoe Basin ski resorts, and on spring ski descents of Mt. Sneffels, Savage Peak, Argentine Peak and Mt. Adams in the Sangre de Cristo range. 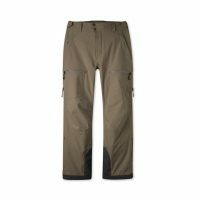 In terms of storage and features, the Stio Environ and Black Diamond Mission pants stand out as the clear winners of the group. 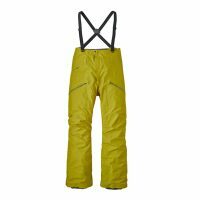 The Environ pant boasts the most pockets of all the pants in the test, while the Mission pant features a dedicated avalanche beacon pocket designed to integrate with Pieps products. Both pants have waist adjustments, as well as ample storage options for any items users need quick access to. As far as comfort goes, look no further than the Arc’teryx Stingray pant. 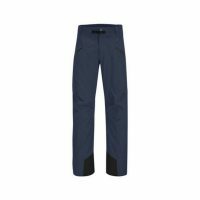 Built from superb outer material (70 denier Gore-Tex), this pant also features a brushed flannel backer which gives it a soft, quiet feel. The Stingray articulates well and is ergonomic and comfortable. It is also the most minimalist, no-frills pant in our test. With continued innovation and improvement in lightweight, breathable fabrics, snow sports clothing has trended toward versatile, quiver-of-one pieces as the most common gear preference. These pieces strive for a balance between keeping the elements out while maintaining breathability and temperature control. 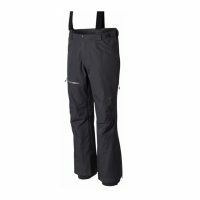 To accomplish this, every ski pant in this test is constructed using 3-layer breathable materials (generally Gore-Tex) and features some form of leg zip for temperature control purposes on warmer days or while hiking. 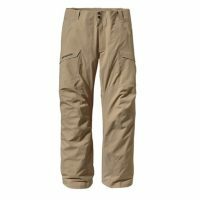 This enables the pants in this test to be used in a wide range of temperatures, covering virtually any scenario a user may face in the backcountry. 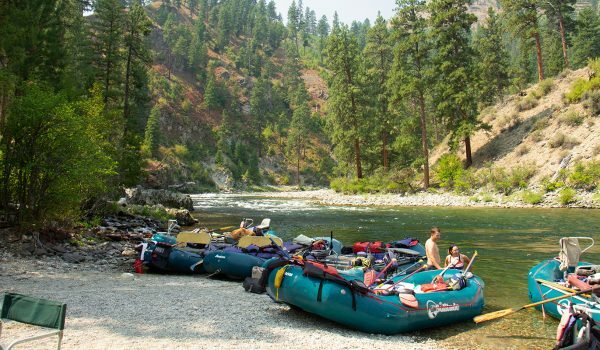 The pant with the most versatile temperature control is the Mountain Hardwear Hellgate pant. This is the only pant that feature a 3/4 length leg zip that when open, provides more airflow than any of its counterparts. The Hellgate is also suitable for colder days out, although it isn’t quite as warm as the Environ and Untracked pants. 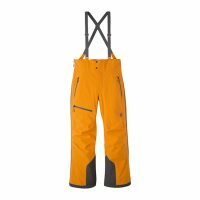 For uncompromised warmth and durability, look to the Stio Environ pant. 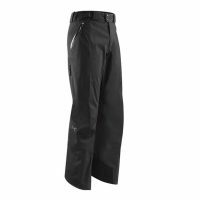 It is consequently also the heaviest pant in the group, but its thick Dermizax 3-layer proprietary material may be worth the extra ounces for users looking for an ultra-rugged pant. Lastly, tying all of these categories together into our Best in Class Winner, is the Patagonia Untracked pant. This one checks every box, which makes it the overall most versatile pant in the group. 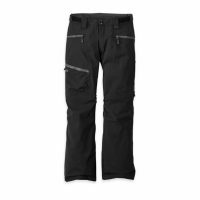 The Untracked pant is durable, comfortable, functions well in a wide range of temperatures, and has plenty of storage options. It is also the only pant with a mesh liner covering the side zip seam for sun protection. 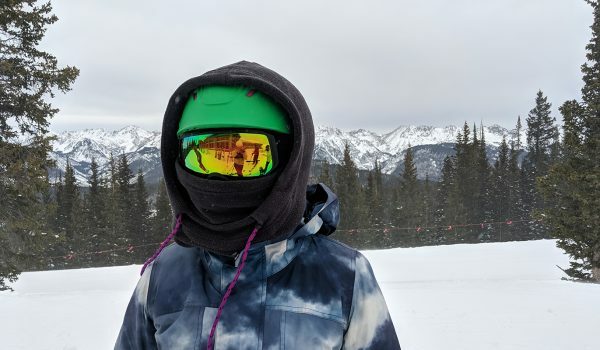 This year’s ski bib testing was conducted in the backcountry of Colorado, skiing winter snow in places like Berthoud Pass, the Gore Range, inbounds at Vail and Arapahoe Basin resorts, and in the Selkirk Mountains of British Columbia. 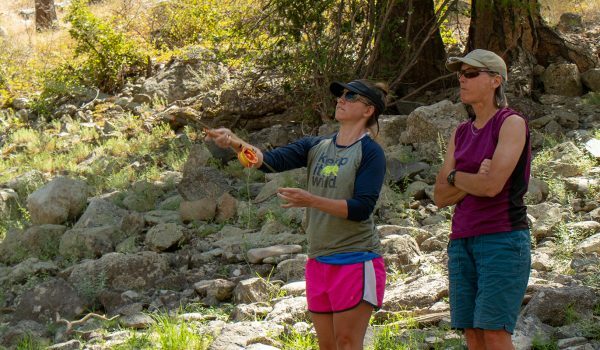 With backcountry skiing exploding in popularity, a demand for versatility in clothing and gear items is an important consideration for manufacturers. Heavy, one-dimensional outerwear that only excels on the downhill is slowly becoming a relic of the past. 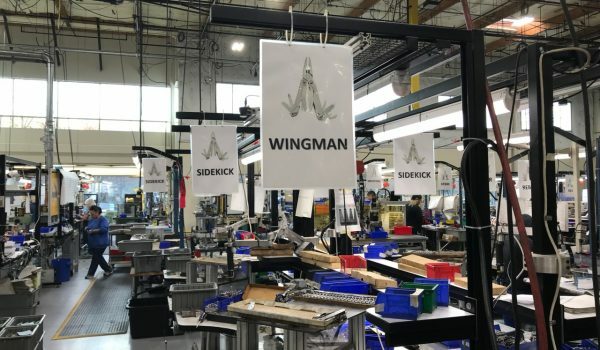 The realm of ski bibs is no different, and as a result lightweight, breathable materials are being used to construct bibs, with versatility in various conditions and across various modes of travel has come to the forefront of design. As a result every bib in this test is made from 3-layer breathable materials and features some form of leg zip for temperature control. 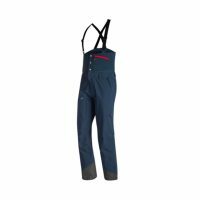 In terms of supreme versatility, in addition to breathable materials and leg zips, the Mammut Alvier and Outdoor Research Skyward bibs go a step further by featuring a fully removable bib/suspenders, allowing them to effectively be transformed into ski pants. This provides a nice level of versatility for adjusting to the weather and conditions users expect to face. 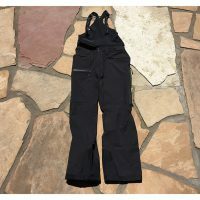 In contrast, the Stio Environ, Patagonia Powslayer, and Arc’teryx Stinger utilize a traditional built-in bib design, while still featuring leg zips and breathable materials. As far as materials and storm protection goes, it’s hard to look any further than the Patagonia Powslayer and Arc’teryx Stinger Bib, as they are both constructed from 3-layer GORE-TEX Pro Shell. Though they lack a removable bib, they’re among the lightest bibs in the test as well as the most durable. 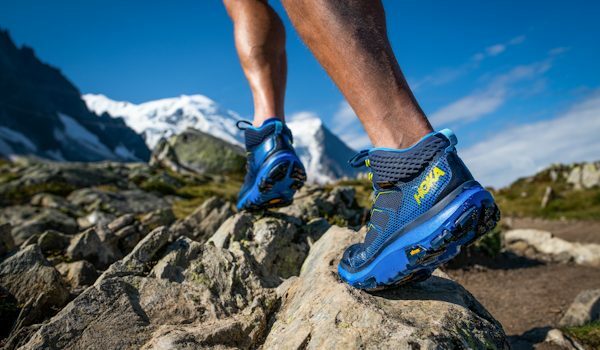 For uncompromised deep snow performance and longevity while also being a decent option for colder spring touring days, these two are the best in this test. With regards to uncompromised warmth, the Stio Environ Bib takes the cake, as it features the thickest and warmest material of the bunch. Durability and material thickness go hand in hand, and the Environ is a solid, traditional bib option for cold days out on the hill. It also breathes well compared to bibs of the past and features full-length leg zips too. 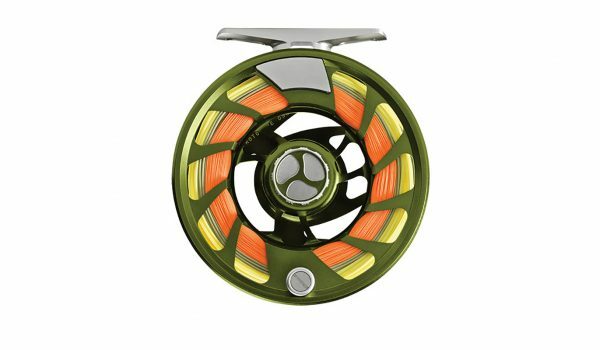 Overall the Patagonia Powslayer Bib wins best in class because it nails performance in all of the above categories. It’s constructed using the highest quality materials and it is lightweight, warm, breathable, durable, and fits a standard frame perfectly. 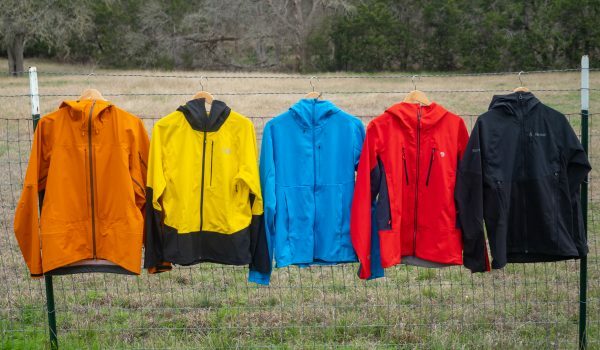 Also, Patagonia worked with Gore-Tex to be the first to pair a recycled nylon face fabric with Gore’s Pro Shell.